Making a home safer and more energy efficient doesn't have to be difficult or costly. Lint clogged dryer vents and hoses are an often overlooked fire hazard that can be easily and economically prevented. A dryer vent cleaning and replacement may save a home owner from a house fire as well as increase a dryer's efficiency. Inspect the dryer's current ventilating system which should consist of mainly a hose that attaches from the back of the clothes dryer leading to a vent affixed to the building's exterior. If the materials are old, cracked or in any way damaged, they should be replaced. Purchase new materials separately, or in an all inclusive kit. Separate pieces include: an exterior vent that prevents critters from entering; a metal duct collar; a rigid metal, expandable aluminum or flexible layered aluminum hose. Locate either metal clamps or aluminum duct tape to attach the hose to the dryer and a metal duct collar or pipe leading to the exterior vent. Remove the old exterior vent. Vacuum the opening for clogged lint and dryer vent cleaning. Confirm that the new vent fits the exterior opening. Mark drill holes to affix the vent to the wall. Cut the new metal collar with metal sheers to match the length of the old metal collar. Insert the metal collar into the vent. Place the vent into the exterior hole. Affix the vent to the wall using metal screws and a drill. Caulk around the vent seam and the wall. Replace the old hose with the new hose. Extend the new hose. Minimize the number of bends and twists from the dryer to the metal collar of the exterior vent. Attach the hose on either end with metal clamps, aluminum duct tape or both. The less bends, twists and turns in the hose leading from the dryer to the exterior vent, the less places for lint to become trapped and get clogged. Lint free dryer vents use less energy because they require less running time to dry. 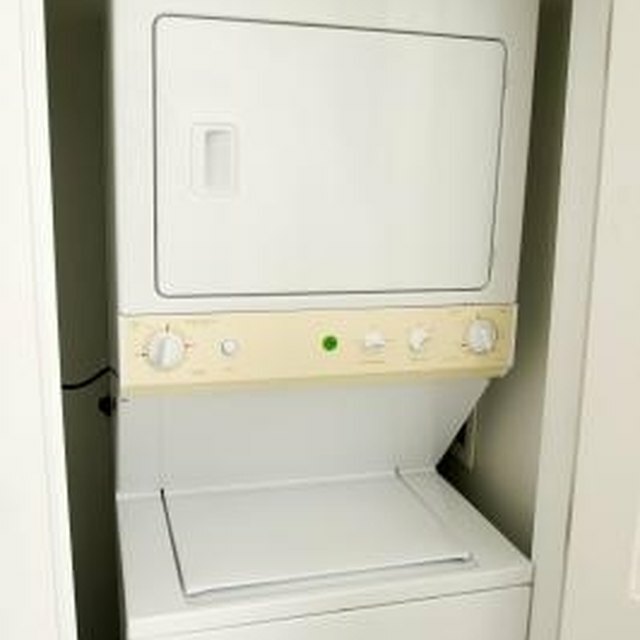 Clean your dryer vent as recommended, once every six months. How Do I Install a Dual Dryer Vent?